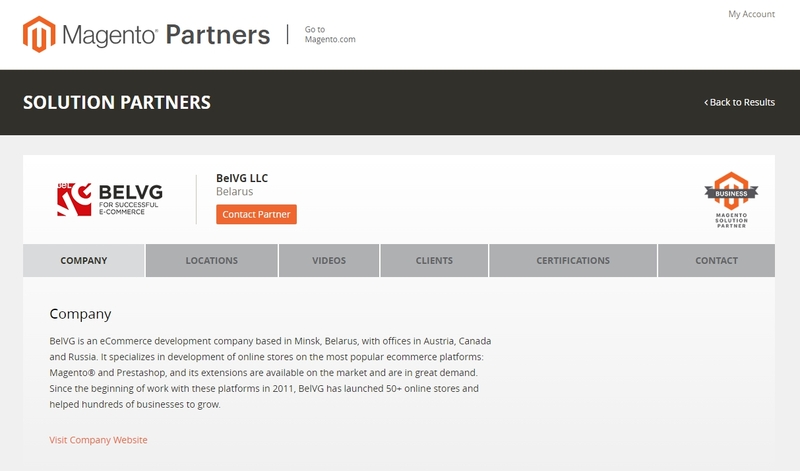 BelVG made a big step forward, becoming Magento Solution Partner. We deserved this title for being the eCommerce development company who has the experience, knowledge and competency to develop and deliver Magento-based eCommerce solutions to customers. This is our new Magento Solution Partner page. It’s an honor to be one of the dedicated experts to help with end-to-end project implementations including design, customization, configuration, integration, and deployment. If you’re interested in our works, you can take a look at our portfolio. I bet you’ll find something interesting for you. Also you can find very helpful information regarding Magento Development and Migration process from M1 to M2. And don’t forget to watch this short video to find out how easy is to start working with us! Thanks for rewarding our development efforts, Magento team!